I am happy to introduce my new app. 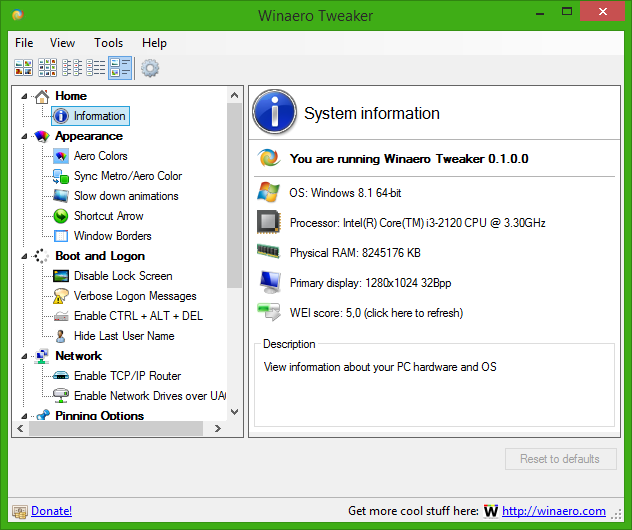 It is Winaero Tweaker - my long awaited all-in-one software. 1. To merge over 50 my tools to one app, as many users requested. 2. 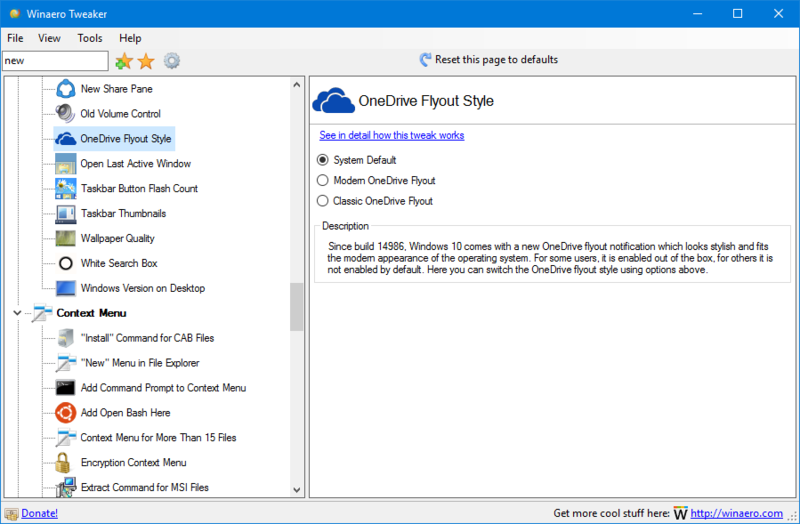 To maintain and update it more frequently, providing support to new [Windows 10] builds and freshly discovered features. 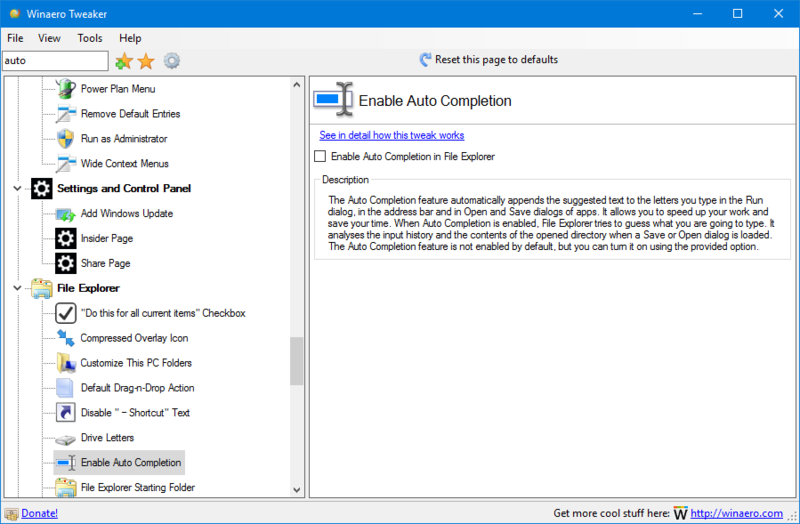 Change Windows Update behavior which is locked to "Install updates automatically" in Windows 10 Technical Preview. Enable the secret hidden experimental Date & Time pane which is not enabled by default in Windows 10 Technical Preview. 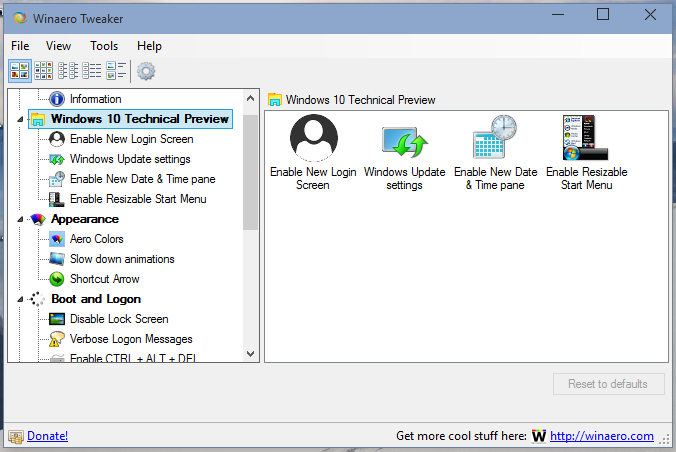 Enable the secret hidden experimental Login Screen which is not enabled by default in Windows 10 Technical Preview. 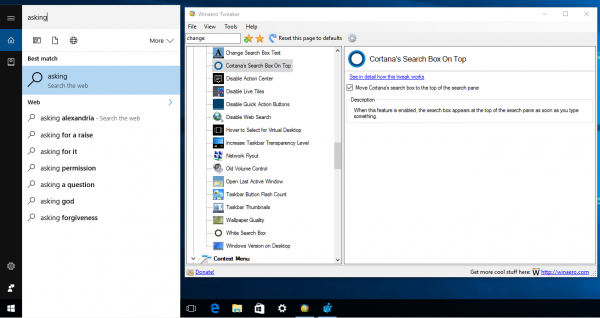 Switch between the old resizable Start menu and the new "Continuum" Start menu in Windows 10 Technical Preview. ^these two above were also as standalone apps. Shortcut Arrow part's code is very improved now. 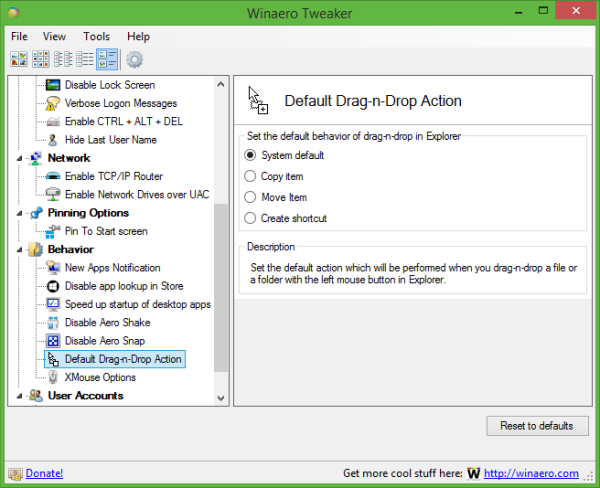 Disable Aero Snap - i coded this to disable it with one click. I do not like Easy of Access center journey. I will continue to improve the app. 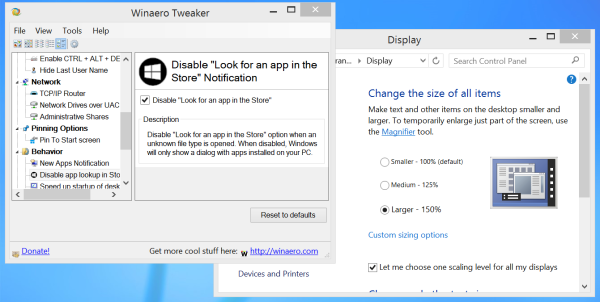 It will get more features and more "merged" apps from Winaero. I plan to release a new build weekly. 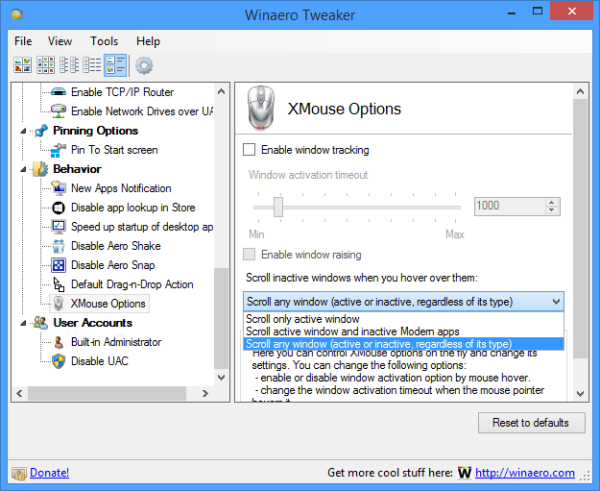 Again, like my other apps, Winaero Tweaker is freeware. It does not require to be installed and works as portable all. Enjoy. 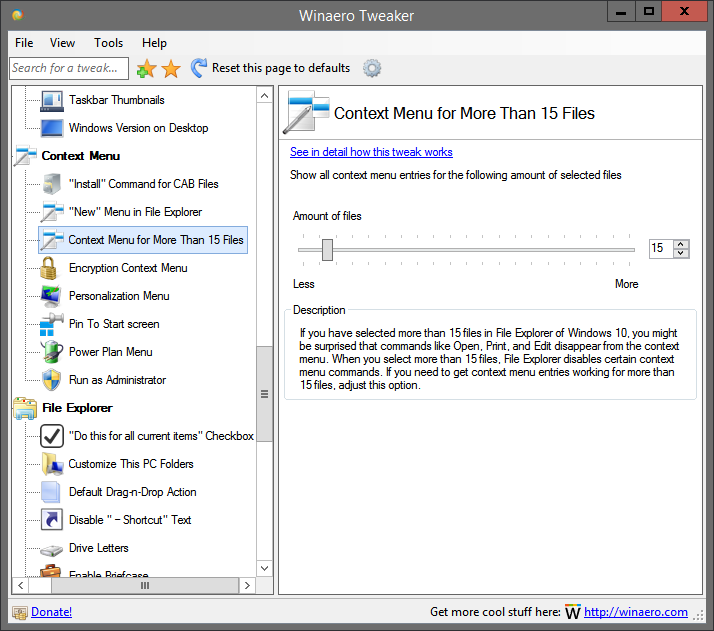 Download link and more details: Winaero Tweaker. 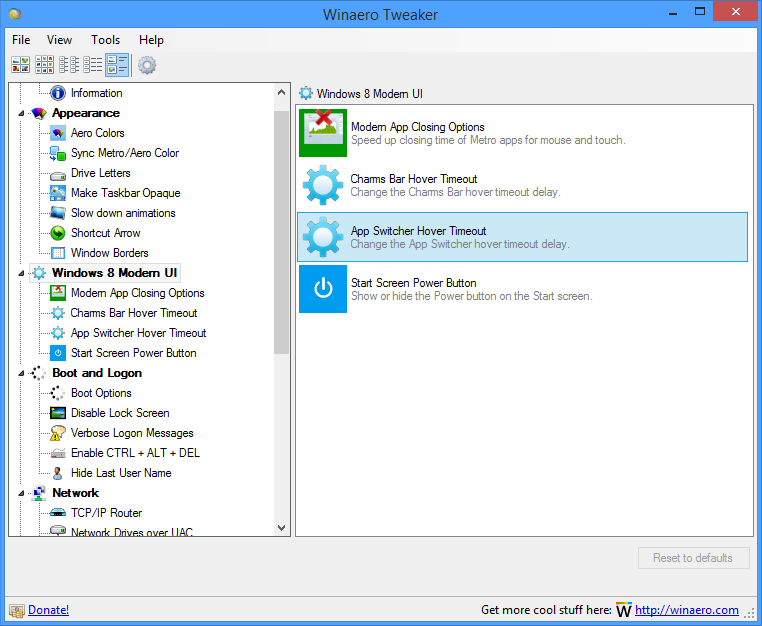 So this app will combine all the amazing Winaero tweaking tools you have? That will be AWESOME!!!! It sounds great. I'm a huge fan of your apps. Great collection of tools. Now you just need a good UI. I like that you display an icon for every tweak. Btw, the (Slow Down Animations Icon) looks like an 8bit image file !! I attached the 32bit version of that icon to this post. I love you work bro. Keep it up. 3. 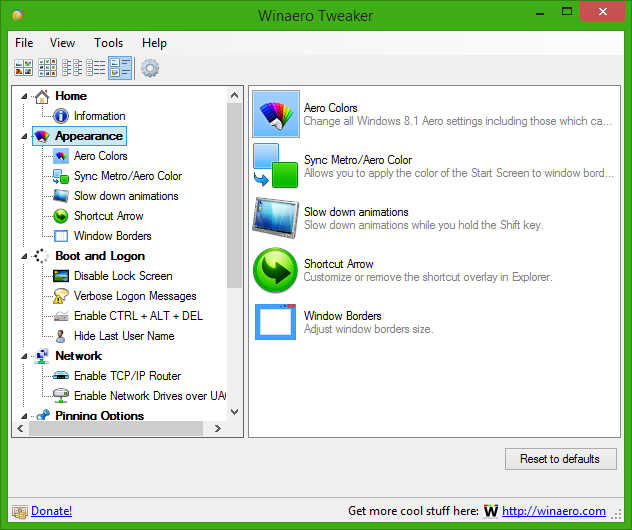 Windows 8.x users got better Aero/Metro colors synchronization. 4. 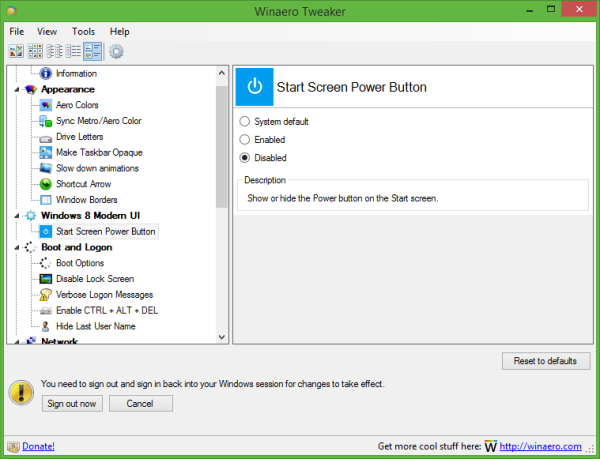 Windows 8.1 users can turn off/on the Power button on the Start screen. Oh oh, a new release. 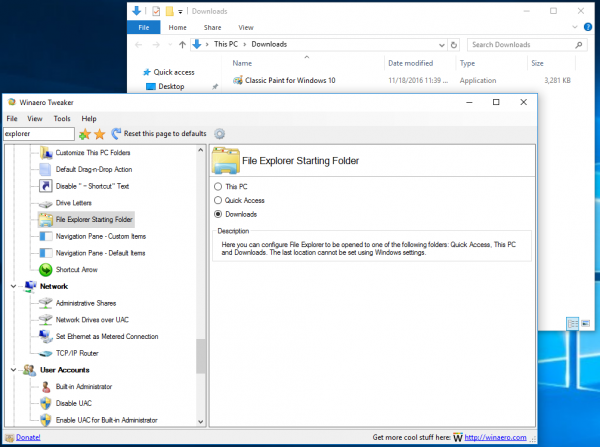 The ability to add "New -> PowerShell script file" to the New menu of File Explorer. 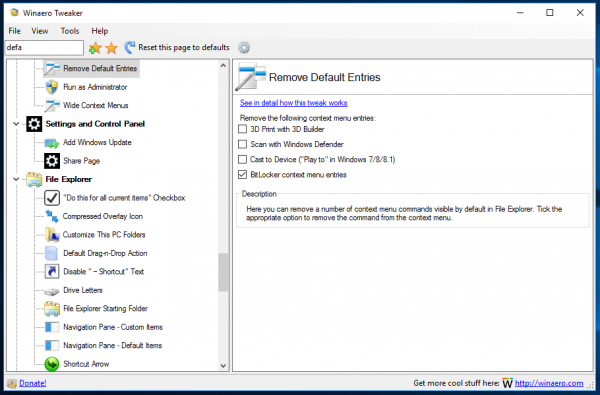 When you select more than 15 files, File Explorer disables certain context menu commands. Now you can bypass this limitation with a single click. 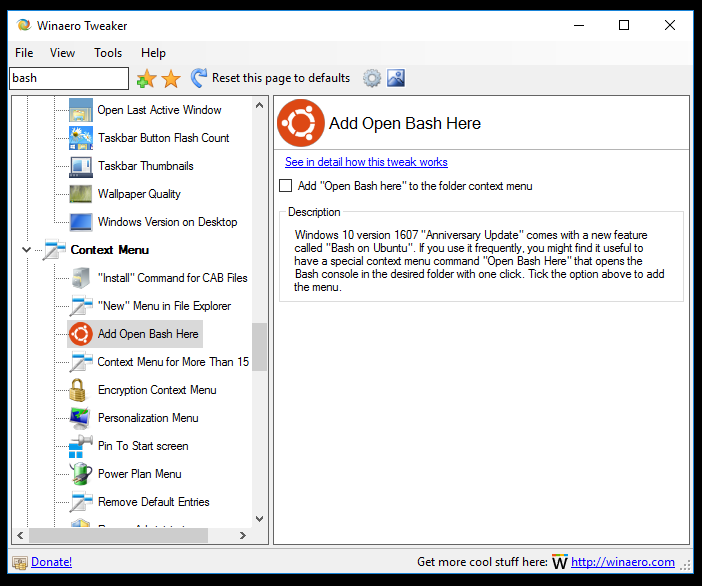 A new context menu command "Open Bash Here". The ability to disable the Password Reveal button. 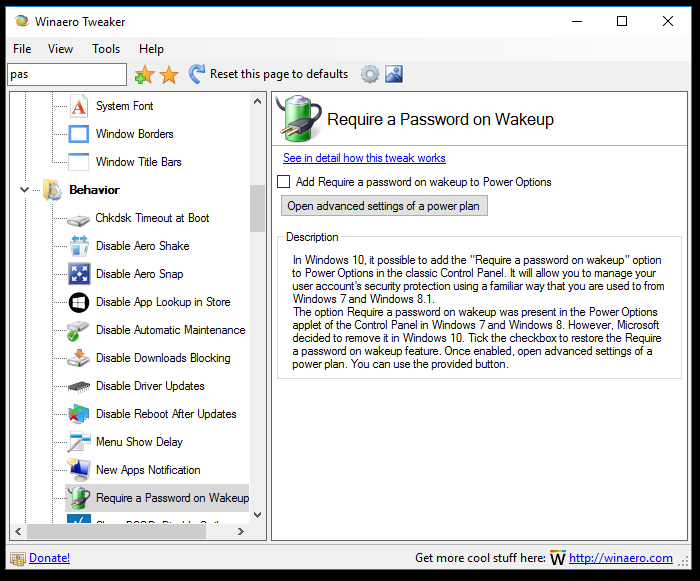 Add or remove "Require a password on wakeup" to Power Options. 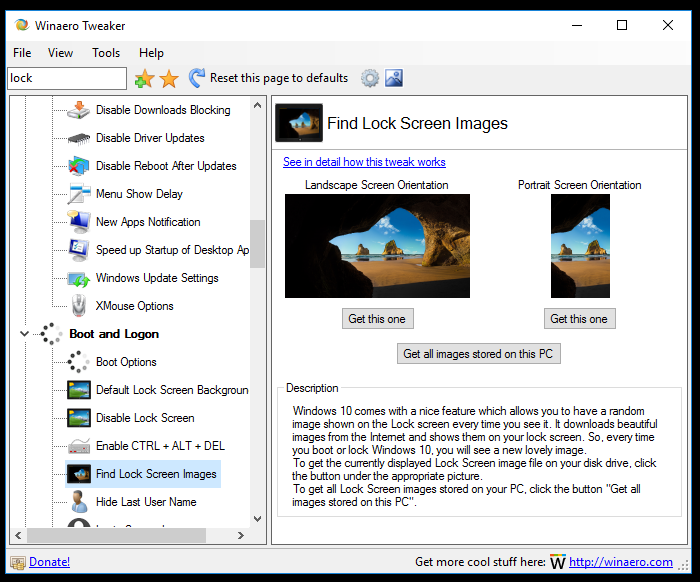 A new tool has been added to find your current lock screen image or grab the entire Spotlight image collection in Windows 10. 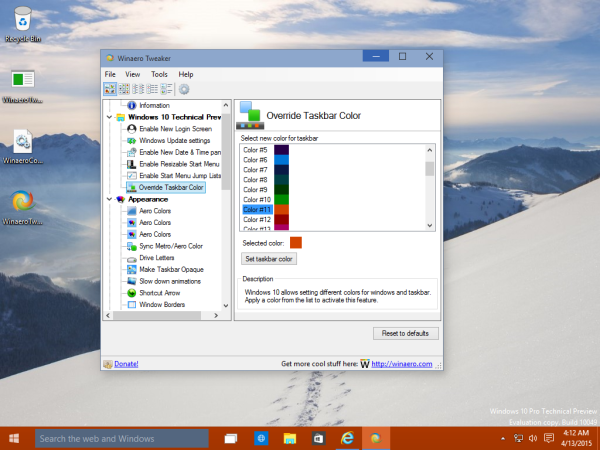 Disable the "user-friendly" sad smiley which Windows 8 and Windows 10 show instead of the classic blue screen. The Unwanted Apps feature is working again. 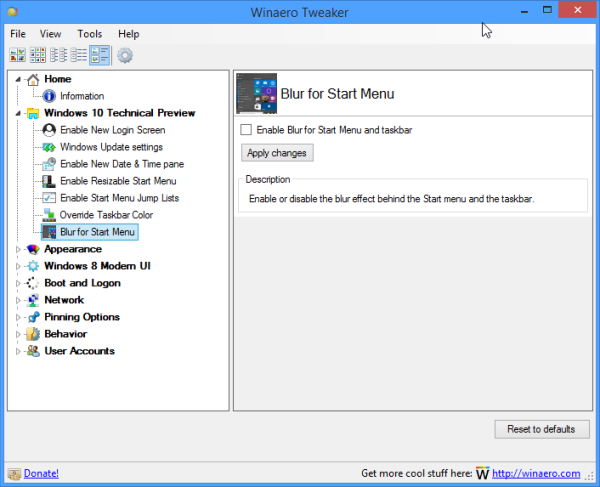 It will stop Windows 10 from auto-downloading and auto-installing apps like Twitter, Minecraft, Netflix and so on. 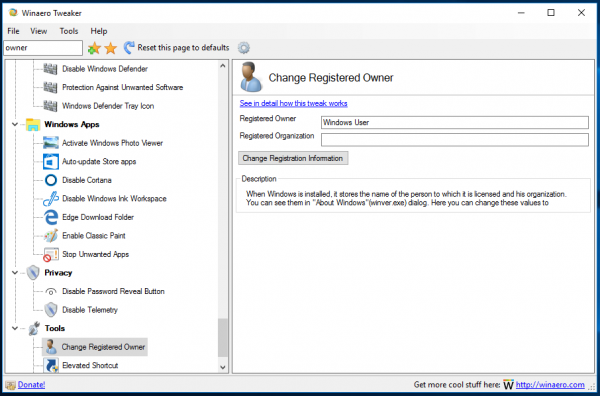 Added a new "Windows Defender" category which contains all tweaks related to this app. The "Control Panel" category got a new icon and new name: Settings and Control Panel. 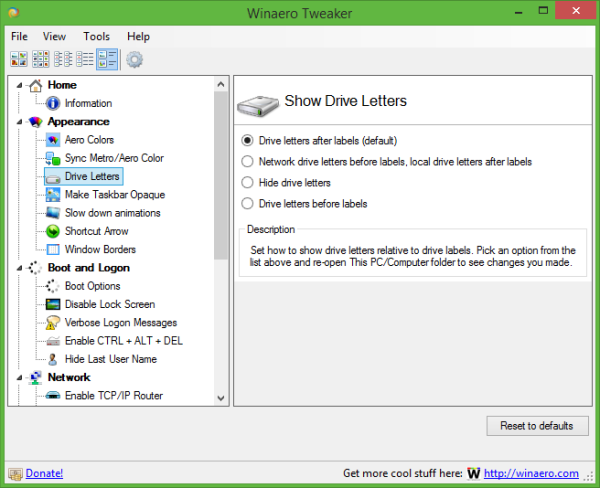 Winaero Tweaker 0.6.0.9 is out. I moved the "Reset this page" toolbar button to the right pane. Now it will appear exactly in the middle of a page with tweaks. The same has been done for the Category view mode buttons. The change log is shot, but still. +The ability to make Action Center always open. Well, a new major release here. The user interface for bookmarks was also refined. 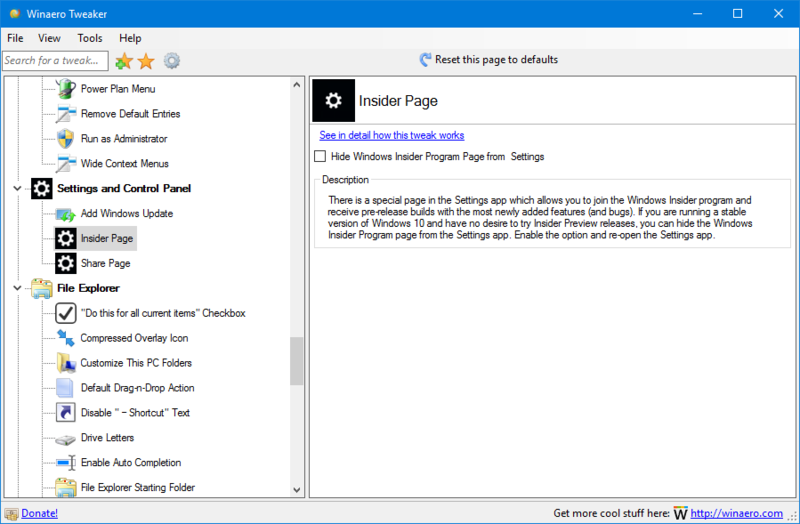 Now bookmarked pages are displayed in the left pane for faster access. If you are not happy with this change, here is how to restore the previous behavior. Go to View - Select visible tweaks and untick "Bookmarks". 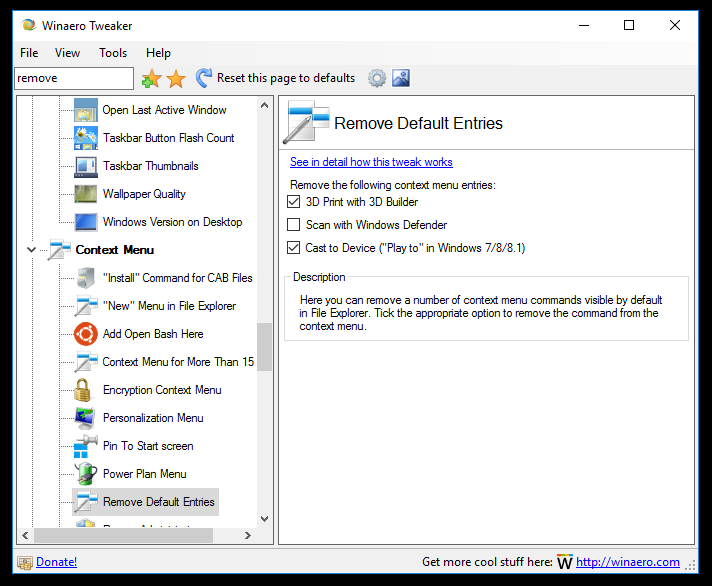 Now the bookmarks node will be removed from the left pane but you can access the older Bookmarks page by using the toolbar button just like the previous version of the Tweaker. Action center always open - the reset to defaults button now works. 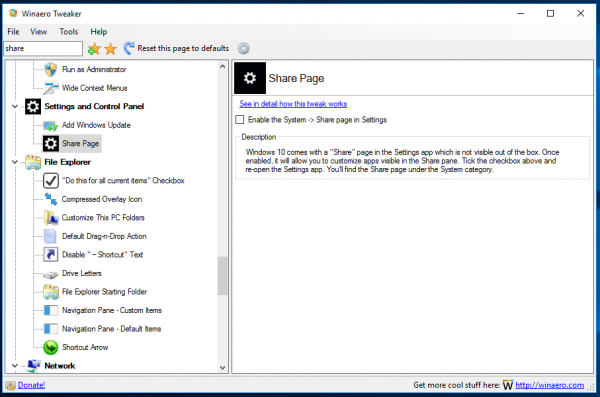 When a category page is focused, the View menu can be used to change the view in addition to the toolbar buttons. 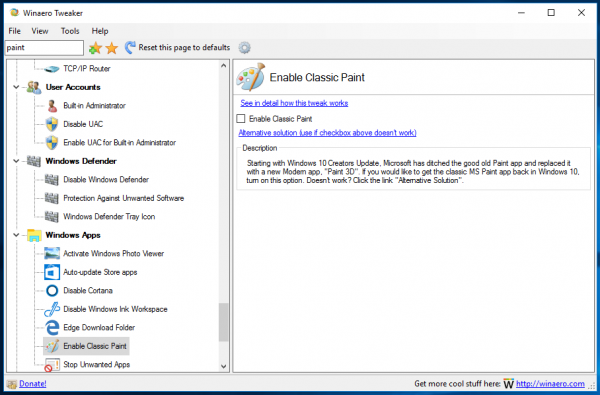 Ability to edit OEM information. 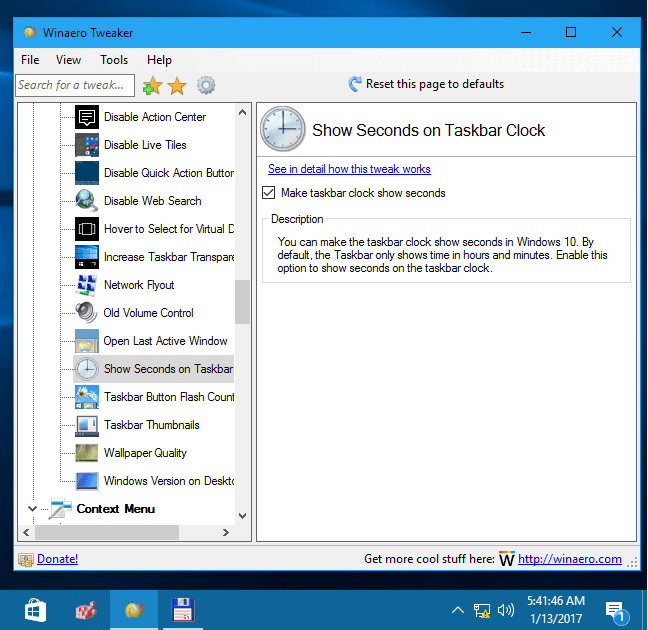 Make the taskbar remain visible when the virtual touch keyboard appears on the screen. By default, the Touch Keyboard appears on top of the taskbar hiding it. 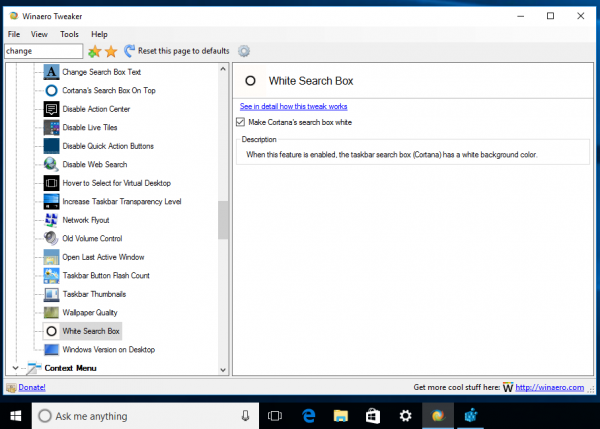 You can now remove the 'Edit with Paint 3D' context menu. 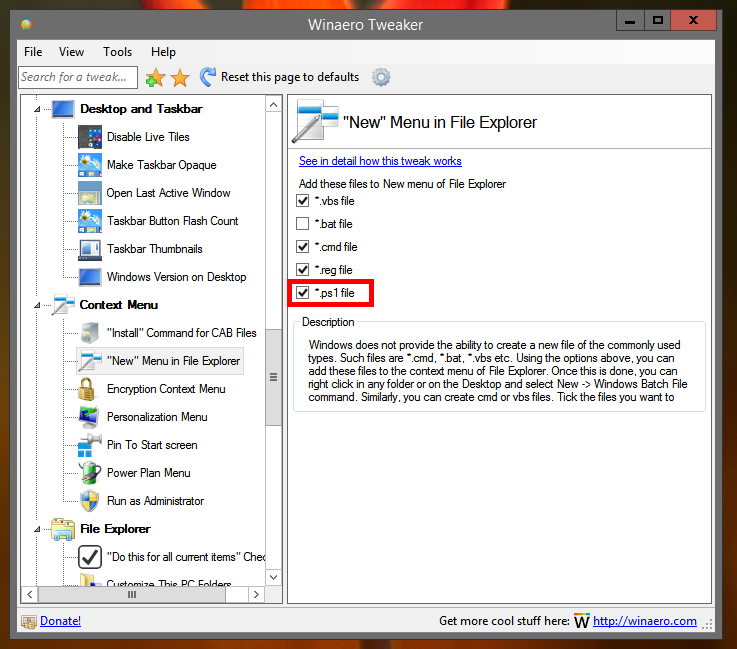 Also, you can remove the Extract all context menu in File Explorer. 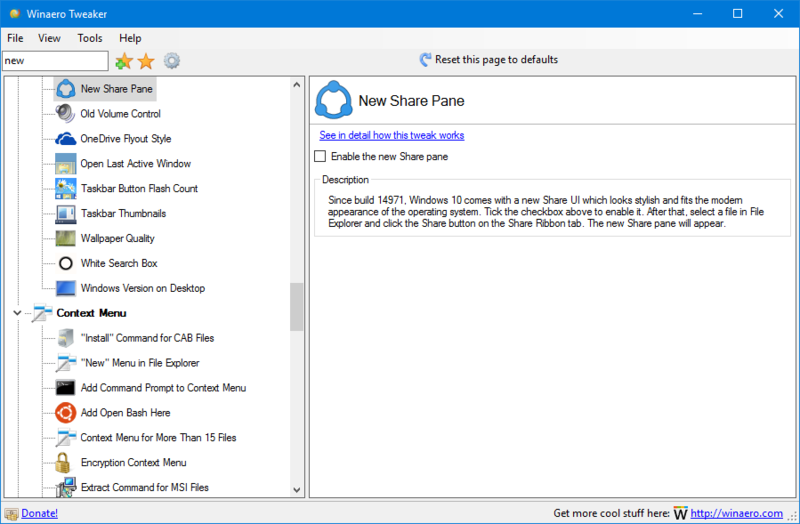 Add a file hash context menu. 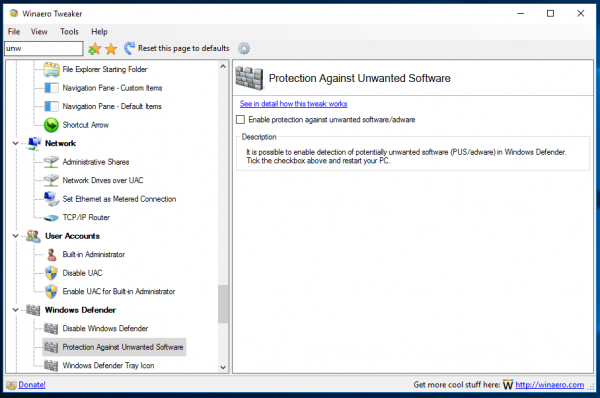 Prevent Malicious Software Removal Tool (MRT.exe) from being offered and installed via Windows Update. 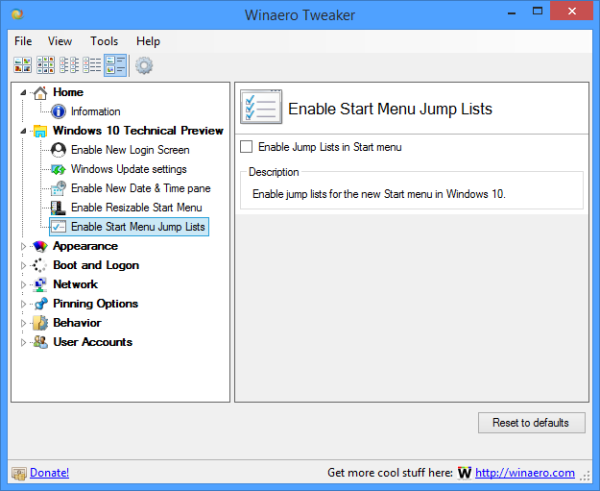 You can easily disable jump lists in File Explorer and the Start menu. 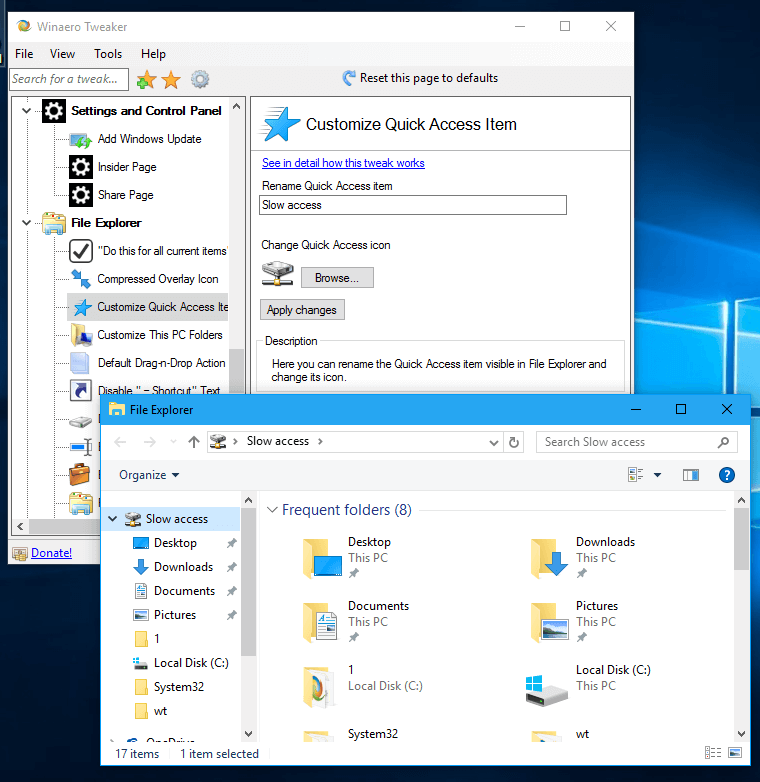 The ability to enable Numlock on the Logon screen (and Lock screen in Windows 10). 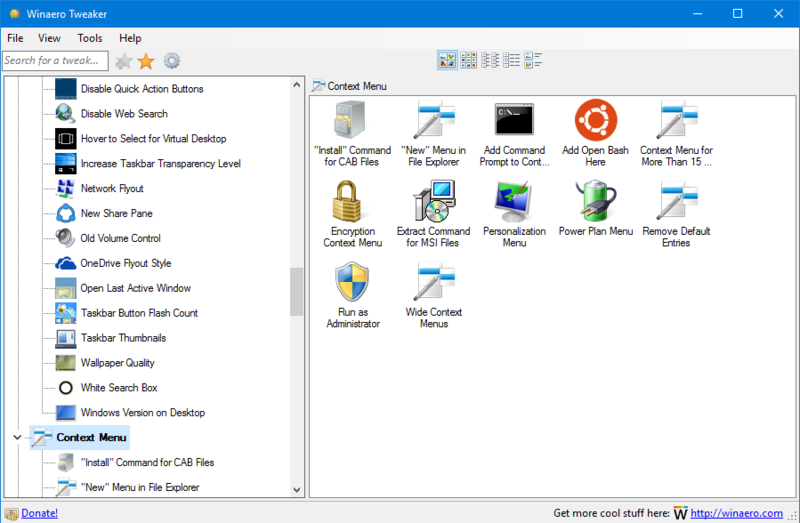 Added a User Accounts desktop context menu. 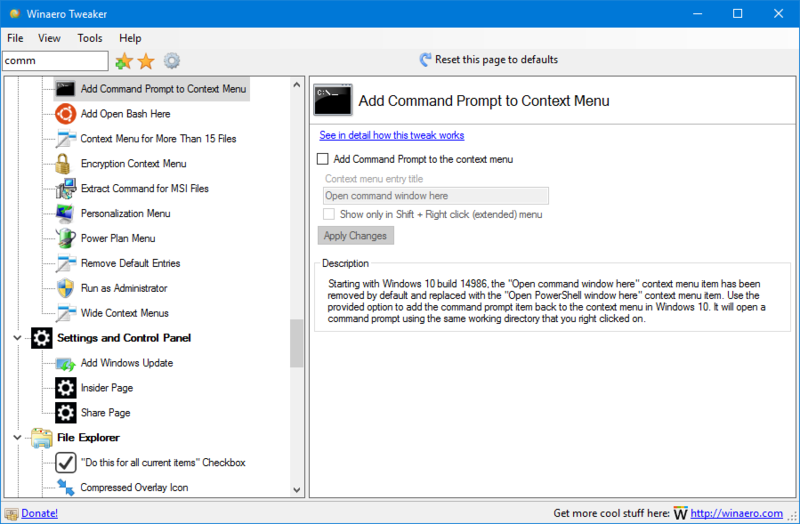 Added a HomeGroup desktop context menu. 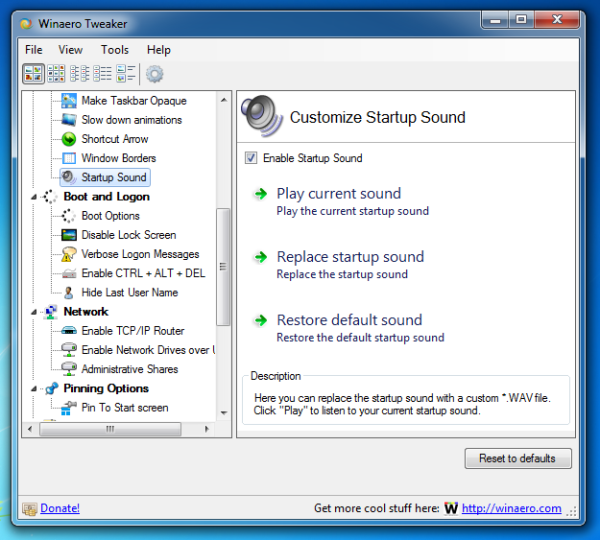 Added a Bluetooth desktop context menu. 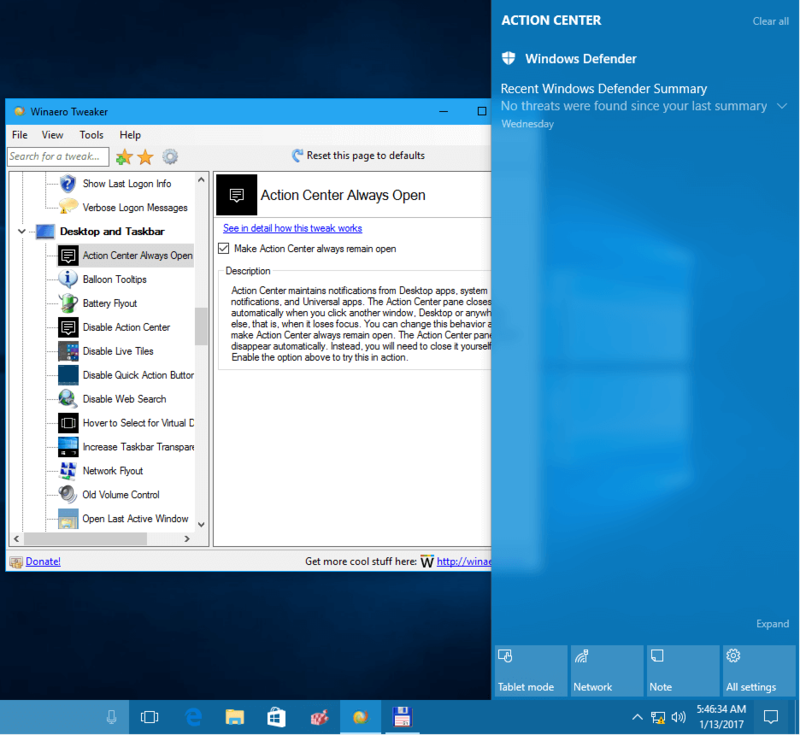 Added a tweak to kill not responding tasks from the Desktop context menu. You can make the "Open in new process" context menu command always visible. 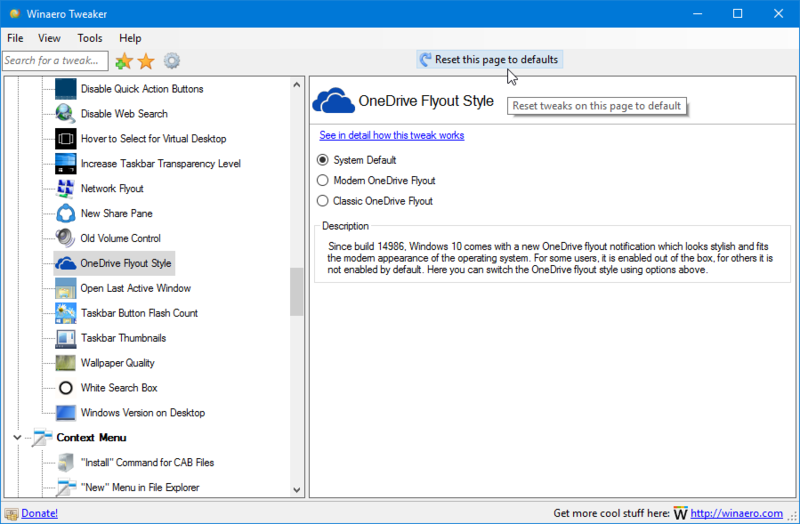 Automatic folder type discovery can be disabled. 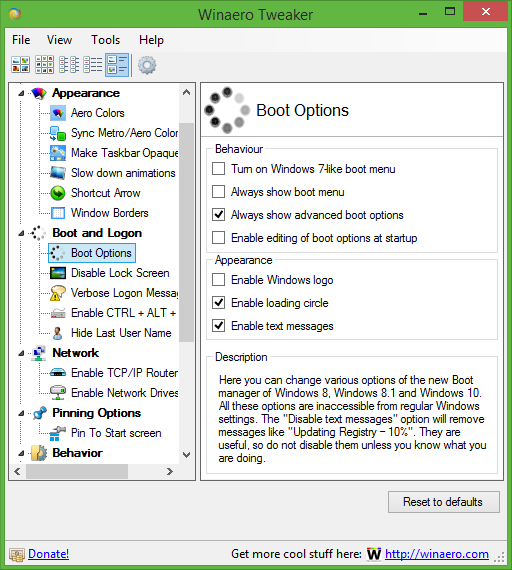 For Windows 7 and Windows 8/8.1, I added the ability to disable the yellow warning overlay icon for the network item in the notification area (system tray). 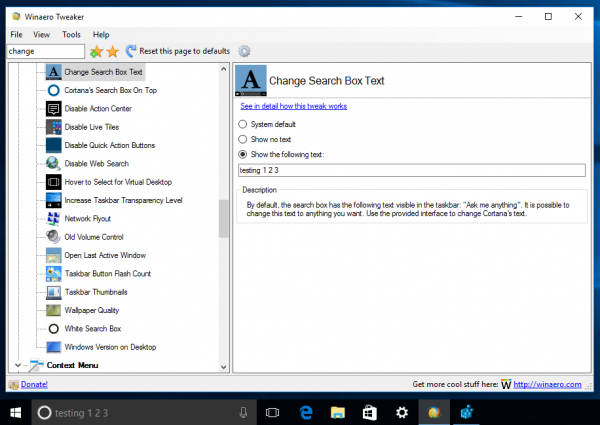 Unfortunately, this trick doesn't work in Windows 10. Thanks to everyone here for your support guys. The ability to hide or show the Windows Defender tray icon is updated for all recently released builds of Windows 10, including 16215. 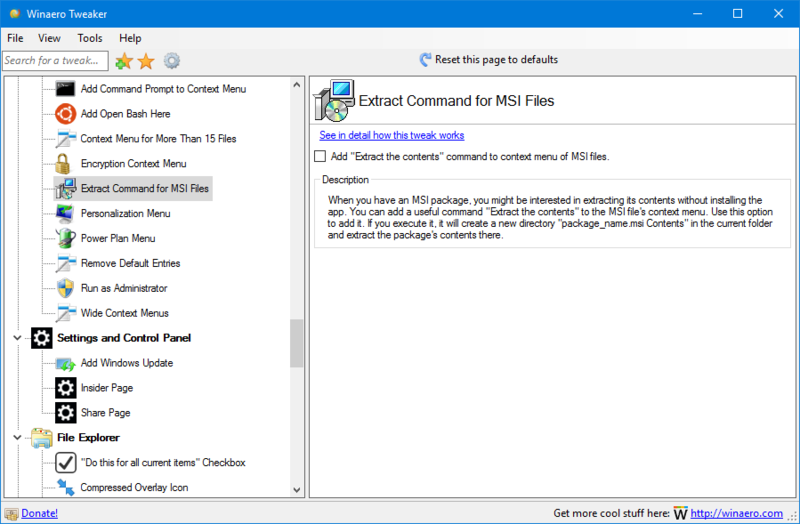 Added a workaround to not use the "Open command prompt here" context menu as the default handler in File Explorer. 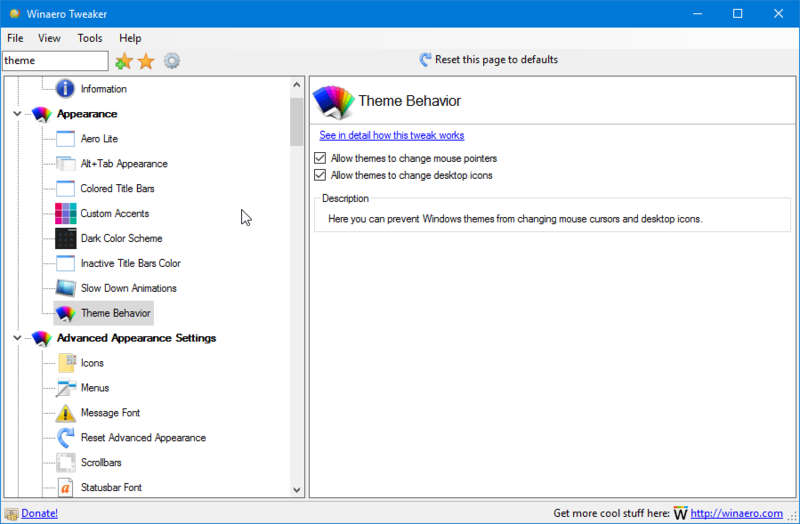 Fixed the Personalization context menu, now it opesn the classic Desktop background and Colors applets again, even in Creators Update. 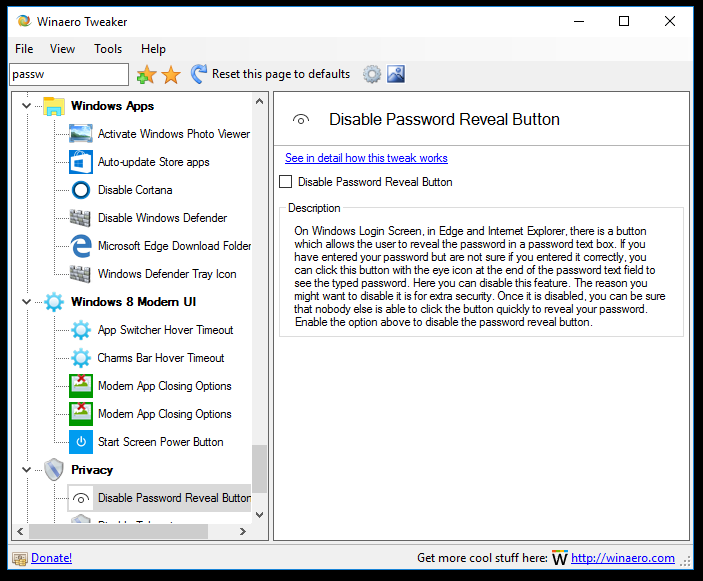 The ability to disable the Lock screen using a Registry tweak is re-added for Windows 10 "Redstone 3" Fall Creators Update.